The innovative ArilSystem is a totally automated system for efficiently and cost-effectively extracting the health-rich juicy arils from the pomegranate fruit. With minimal human intervention, the fruit enters at one end and attractively packaged ruby red arils are ready for market at the other end. Before introducing the fresh-picked fruit into the ArilSystem Industrial Pomegranates Aril Separation line, the fruit should be cured for 3 days under shade. Placed on a conveyor, the fruit enters the ArilSystem Receiving Line which also serves as a disinfection unit. Here it is washed to remove surface dirt, disinfected, and brushed while being bathed in hot water. The whole fruit is now ready to enter the Extractor, the main work room where the air is filtered and temperature and pressure regulated. 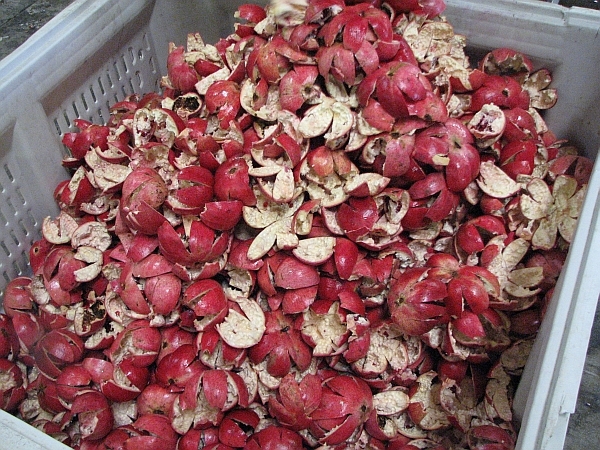 The now clean whole fruit is conveyed into the Pomegranate Aril Extraction Line where the skin is scored, the fruit is gently broken open, and the arils are extracted with the aid of air and water. 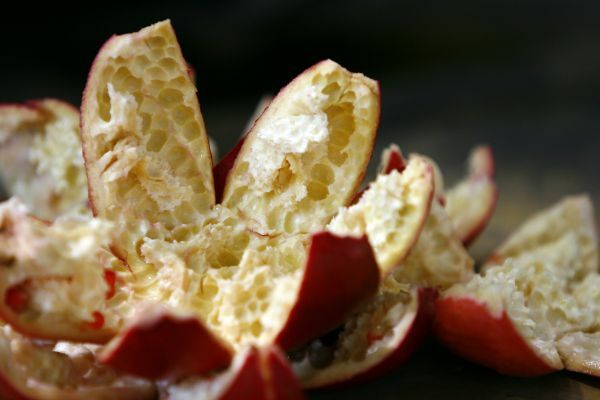 The extracted arils are immersed in a bath of cold water and all other elements of the fruit are washed away. The conveyor system moves the shell and membranes to a collection bin and gently conveys the arils to the final stage. The extracted arils, separated from all other fruit parts leaving them pristine, whole, untouched and washed, are now air-blown dry using unique fans. This is effectively the end of the ArilSystem process, yielding high quality, long-life arils. The packing line is an optional add-on to the ArilSystem, becoming an integral part of the process. The arils are packed into containers with perforated plastic covering that allows the arils to breathe while preventing oxygen from entering. The result is a package attractively displaying the sparkling red arils, ready for market and offering a relatively long shelf-life.